Star Leisure and Star Casino have some of the hottest attractions in Bray! Located on the beautiful Seafront, a short walk from the Main Street in Bray, there is no better place to enjoy yourself in Bray. 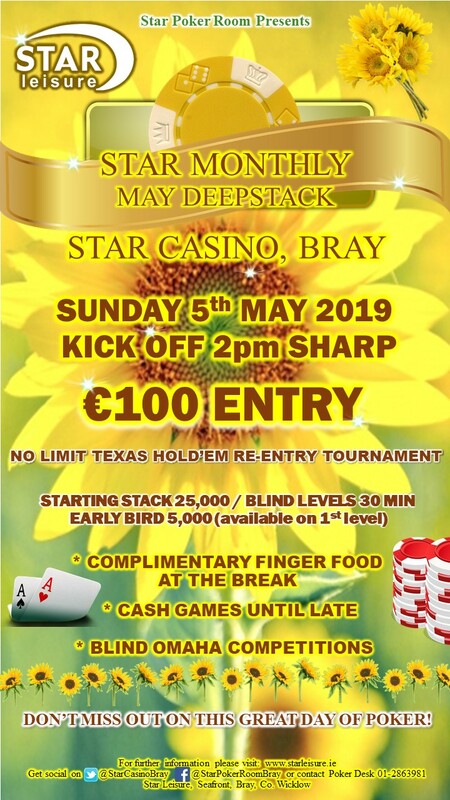 Star Casino, with it's purpose built Texas Hold'em Poker Room, is Bray's answer to Las Vegas! There is a tournament schedule to suit every type of player, it's a great atmosphere for everyone. Star Leisure is open every day 10.00 am till late, all year round whatever the weather (closed Christmas Day).